These three Shabar Mantras, which, I have written about in this post are Mantras, which are used to protect children from diseases or illnesses. In the Hindi language these Shabar Health Mantras are called as the Balak ko Bimari Se Bachane Ke Mantra. This Magical Spells, which, I have described in this post to become invisible to all persons or invisible to the naked eye and to have a super-human night vision, first appear in the European text on Magic and spells, The Egyptian Secrets of Albertus Magnus. The working appears to be quite similar to certain Indian Tantric Spells. In this post, I have written about a Yantra – Mantra Prayog for making the Ekakshi Nariyal or the One-Eyed Coconut more effective and beneficial. The Ekakshi Nariyal as explained in earlier posts is a much prized Tantric item, which is primarily used in Tantric Experiments relating to money, prosperity, fame and fortune. The Navnath Sampradaya Shabar Healing Mantra given by me in this post uses Bibva Nuts[ Semecarpus anacardium -nut] to get rid of eye-pain. This Healing Mantra Experiment to remove eye-pain is most simple to perform, even for the uninitiated and the lay-persons. In the Hindi language this Health Mantra is called as the Netra Dard Nivaran Mantra or the Aankh Peeda Shanti Mantra. In this post, I have described some prescriptions from Vastu-Shastra, regarding the use of water and objects, which symbolize or portray water, like images or paintings and water-fountains. Some of these recommendations are common to both Vastu Shastra as well as Feng Shui. The Yantra described by me in this post is said to be a specific method of appeasing and invoking Ambika Devi. The worship of the Divine Mother Goddess as Ambika or Amba has been prevalent in the Hindu religion since the ancient times where she is visualized as the Adi-Shakti or the Primordial Deity. The Yogini Mantra Sadhana described in this post is the Madhumati Yogini Mantra Experiment, which is contained in the Bhoot Damar Tantra. If the practitioner succeeds in invoking and appeasing the Madhumati Yogini, he enjoys unbelievable physical pleasure everyday with the Yogini and with her blessings, he turns into a handsome and attractive gentleman and gets the paranormal power of going anywhere he pleases. This Shabar Mantra Experiment, described by me in this post is for getting the everlasting Blessings and Love of Hanuman. The experiment has to be performed for 11 consecutive Saturdays. The steps to be followed are given below. This enemy disposal experiment described by me in this post is a Daring Islamic Uchchatan Mantra. The word daring has been especially used by me to describe this Uchchatan Mantra Prayog because the Shabar Vidya Tantra, which contains this Enemy Elimination Voodoo Spell has stated that it should only be performed by a Bahadur or a Brave and Daring person. A rare and unique healing remedy from the Vanaspati Tantra to get relief and cure intestinal ailments is described by me in this post. This remedy makes the use of the root of the Shankhapushpi Plant to prepare a simple, yet effecting talisman, which is said to be beneficial in giving relief to any person suffering from diseases of the intestines. A special numerical Yantra, which can be kept on the body to make people behave properly in a courteous and cooperative manner has been described by me in this post. Even though this is not a typical Vashikaran or Attraction Yantra, the working of this Yantra is technically the same. A simple and uncomplicated Indian paranormal bathing ritual for the quick marriage of a girl has been described by me in this post. This Upay for Quick Marriage can be practiced by a girl whose marriage plans are not materializing as planned due to any kind of reason, including lack of money, good looks or education. The Yantra Sadhana described by me in this post is a Special Mahalaxmi Yantra Siddhi Sadhana, which energizes the Yantra with a most powerful and potent Mantra of the Goddess Mahalaxmi. This Yantra can then be kept in the Puja-Ghar or Altar for getting the blessings of the Divine Mother for getting rid of material and psychological difficulties, depression and anxiety. The Spell described by me in this post is specifically used for getting relief from pain and discomfort caused by stomach and intestinal gas, belching and bloating. In the Hindi language this paranormal Indian healing spell is called as the Pet Ke Vayu Gole Se Aaram Pane Ka RambaanTotka or Upay. This is a very menacing Indian Voodoo Black-magic Death Inflicting Spell to permanently remove an an enemy from the face of the earth. This Maran Mantra has to be specially practiced on the night of the Hindu Festival of Diwali for it to be most effective and dangerous. In the post, below, I have described the method of performing this Enemy Killing Mantra Experiment, which has originated from a rare and unknown Shabar Vidya text. The paranormal remedy given by me in this post is for getting rid of and being free from the harmful ill-effects of Pitru Dosh, which is preventing any boy or girl of marriageable age from getting married. This simple to perform Totka is suitable for those men and woman who have been diagnosed by any learned astrologer or Pundit as being afflicted with Pitru Dosh in their horoscopes, which is affecting and obstructing their marriage prospects. The Mantra given in today’s post, is a Shabar Healing Spell, which is used to infuse any kind of crude healing oil to increase the healing power of that oil. The oils, which can be infused are those crude or herbal oils that are normally used to heal headaches, burns, scars, boils and wounds. The Ajna Chakra or The Third Eye, which is located in between the eye-brows has been time and again described in ancient Sanskrit Scriptures as the connecting gate-way between normal and higher levels of existence or consciousness. Most aspirants of Kundalini Awakening would definitely be aware of Third Eye of Shiva and the supernatural powers generated or triggered-off by it. In this post, I have given a compilation of the specific birthdays of the year, which are said to be fortunate and auspicious for matters relating to love, romance and marriage. The Book of Forbidden Knowledge says that people who are born on these days will be more luckier than others in experiencing a successful, happy and satisfying love-life. 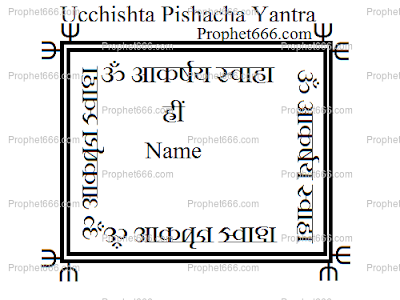 The Ucchishta Pishacha Yantra, which is described in this post is specific kind of Vashikaran or Attraction Yantra, which is said to protect and safeguard your valuables, money, luggage or commercial goods while traveling to another city or country either for personal or business purposes. 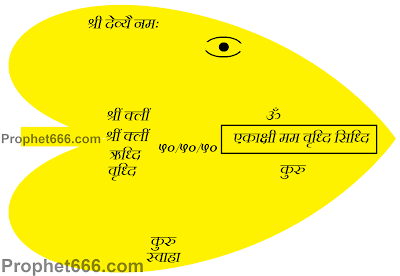 The method of making and using this self-protection Yantra is given below. The Vashikaran Tantric experiments given in this post are performed using the droppings and feathers of a crow and an owl. It is a known fact that the crow and the owl are sworn enemies of each other and the owl kills a crow on sight. The crow never builds its nest in a place frequented by owls. Hence, Tantric practitioners attach great importance to the experiments, which are performed using a mixture of the body parts of an owl and a crow. In this post, I have written about a special numerical Yantra, which is called as the Karyalaya Me Maan Samman Pane Ka Yantra or a Yantra to get respect in the office. This charm is suitable for those person who have tried everything but have still not managed to gain respect, recognition or praise in their workplace. The Mantra given in this post is a Fast Working Lakshmi Mantra Experiment for Business, which as per the Tantric Texts, is said to give positive results rapidly in just 3 days. The Mantra is suitable for those business-persons who are longing to make their business grow and start making money in as short a period of time as possible. In this post, I have described a Voodoo Spell for Knowing the real intentions, nature and future of your Lover in a Dream. This spell makes the use of a love letter, which you have received from the lover. In which he has declared his love for you. This is a European Spell, which originated in the middle-ages and it appears in the Book of Forbidden Knowledge. The specific period of any solar or lunar eclipse is known as Grahan Kaal. In this post, I have given a few important rules, which can be followed during Grahan Kaal. These rules, which are prescribed by traditional and orthodox Hindu scholars are also called Grahan Kaal Sutak or thing to refrain during the period of a solar or lunar eclipse. 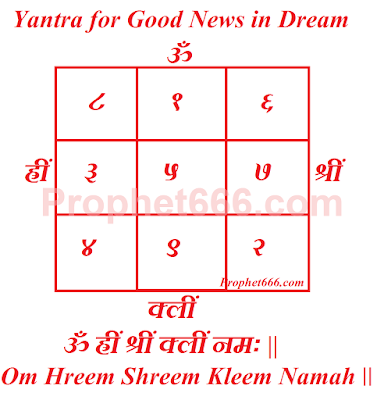 This Yantra, which, I have written about in this post is said to work like a magical charm in disclosing good, beneficial and auspicious news about events and occurrences, which are about to take place in the future in a dream. I have described the method of making and using this Yantra along with a most powerful Beej Mantra. In this post, I have described a simple Spell for a boy infatuated with a girl to get over his infatuation. This simple spell to get over the obsessive one-sided love for a woman who is either unaware or simply uninterested in the obsessive lover appears in the Egyptian Secret of Albertus Magnus, the mystical collection of spells and charms. In this post, I have written about 4 more simple and easy to practice home remedies to prevent night emission. There are no serious side-effects of having spontaneous nocturnal emission, however, when it becomes a chronic problem then, it is likely to cause psychological problems, which might affect the over-all health of the individual. 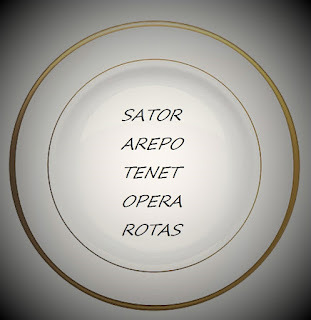 This is a paranormal spell, which makes the use of the ancient Latin Sator Square, which comprises of 5 unique words, to extinguish a fire. This paranormal remedy for extinguishing fire appears in the Egyptian Secrets of Albertus Magnus, the famous mystical work on voodoo spells, charms and white and black magic.